Ashok Selvan who got fame with Soodhu Kavvum and critical acclaim for his performances in Pizza 2 and Thegidi, has just begun work on his upcoming film, Kootathil Oruvan directed by Gnanavel. When talked about the film, Ashok said, "This is my first full fledged romantic film and is a breezy entertainer. The story is very simple that the audience can relate to it. We will commence the shoot by the end of this month." On the other hand he is doing 'Savaale Samali' a comedy genre written and directed by Sathyasiva. Bindu Madhavi is paring Ashok for the movie. There is something special about the movie. Yes, Ashok has tried dancing for the first time in Savaale Samali. "I had a tough time during the shoot of the songs. There were two dance numbers in the film, out of which one was a kuthu song. I found it difficult to memorise the steps on the spot. I know that dance is one of the important skills that an actor should have to survive in this industry. So, now, I am planning to learn dance that would help during the shoot. ", says the young actor. When quizzed if he would like to shed the Thegidi tag, he says, "Of course! I cannot carry the tag around forever. I have plans to try out different genres and Kootathil Oruvan will be a one such film." While his next film, Savaale Samaali is set to hit screens soon, Varaipadam, has been put on hold. The actor was in Coimbatore recently for a photo shoot and expressed his desire to live in Coimbatore. "The city is so peaceful and I love the calmness here. I just hope that it doesn't lose its charm and become chock-a-block like Chennai. Since, we hail from Erode, my father has always wanted to buy a place in Coimbatore. May be some day in future I would also love to have my own abode here." #OKKanmani sucha beautiful beautiful film. So real&simple yet so beautiful. #arrahman &PCsir -Geniuses & mani sir is still d best we have! The Thegidi actor, who had watched the film, tells us that he would love to do a film like that some time in his career. 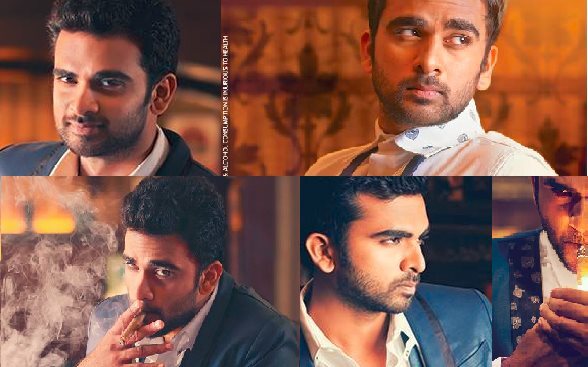 "I hope someone offers me a role on those lines," grins Ashok Selvan. Priya Anand plays the female lead and Nivas Prasanna scores the music. Pramod of Attakathi fame is handling the camera. Ashok is also busy with Thirukumaran Entertainments Dream Factory and Abhi & Abhi Pictures jointly producing '144'. Manikandan is directing the film for which Ashok is sharing screen with RJ Shiva.